MASON — A Mason woman was arrested early Thursday morning on a drug charge by the Mason Police Department. 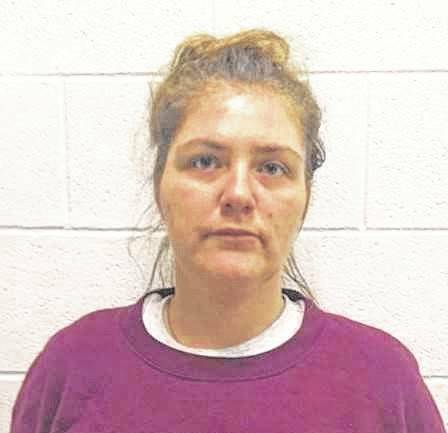 Jessica N. Burris, 33, was arrested by Patrolman Tyler Doss after officers were called to Valley Apartments in Mason for an unnamed male victim who allegedly overdosed. Once Officer Doss and Patrolman Clayton Gibbs arrived, they obtained consent from Burris to search the residence where the male victim was located. According to Police Chief Colton McKinney, the two officers found drug paraphernalia, including scales and syringes, along with what was believed to be small amounts of heroin and crushed pills. Burris was arrested for possession with the intent to deliver. She was transported to the Western Regional Jail. The male was taken to the hospital by the Mason County EMS. Also assisting at the scene were New Haven police officers Collin Hill and Zack Beegle.